The SEAMi Young Member Group (YMG) includes SEAMi members who are 35 years of age or younger. The YMG is an organization for young structural engineers, recent graduates, and current college students to professionally develop through meetings, community service projects, social activities, and outreach activities. These activities help individuals in building a network with fellow peers in the early stages of their career. We encourage anyone interested in YMG to attend our meetings, community service, and social activities. If you would like to be added to the YMG email list to receive updates on our events and meetings, please send an email with your contact information to Alex Sadovskiy or Eric Simmons. 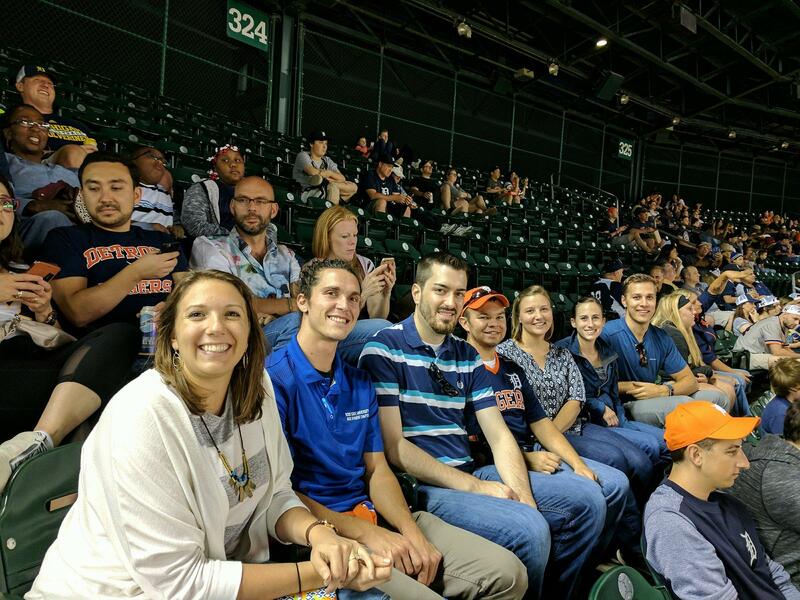 One of the many benefits of being a part of the SEAMi Young Member Group is going to social events and getting to know other young members in Michigan. Pictured here is a group of us at a Tigers Game in mid summer 2017. The Tigers may have lost the game, but each individual at the event gained the opportunity to talk about study tactics for the P.E. and S.E. exams as well as interesting things that were learned by working on different projects. 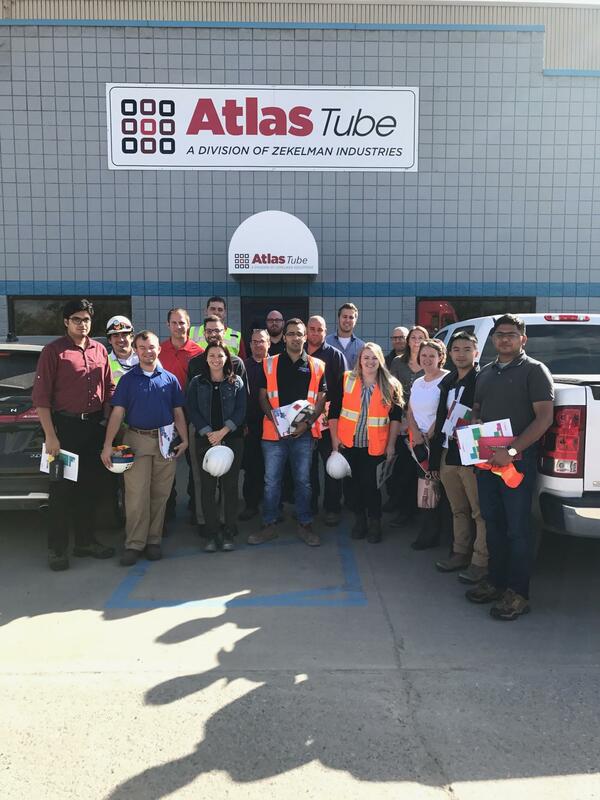 Another event held in late Summer 2017 was a visit to the Atlas Tube production site. The group (pictured to the left) learned about hollow structural steel shapes. We also learned about new high strength steel that is being used to produce the shapes and that there are new large shapes available. Take a look around the website linked above. Atlas has an awesome shape availability chart that helps with choosing sizes that are easily available. After an excellent introduction to the process, we got to take a walk through the warehouse and then a walk down the production line. It was really interesting to see flat sheet metal turn into the HSS that we all use in our structural designs. We were able to snap some videos during our visit and add them to our YouTube page which can be accessed here. Please watch the videos in numerical order so have them make more sense and follow the process from beginning to end.